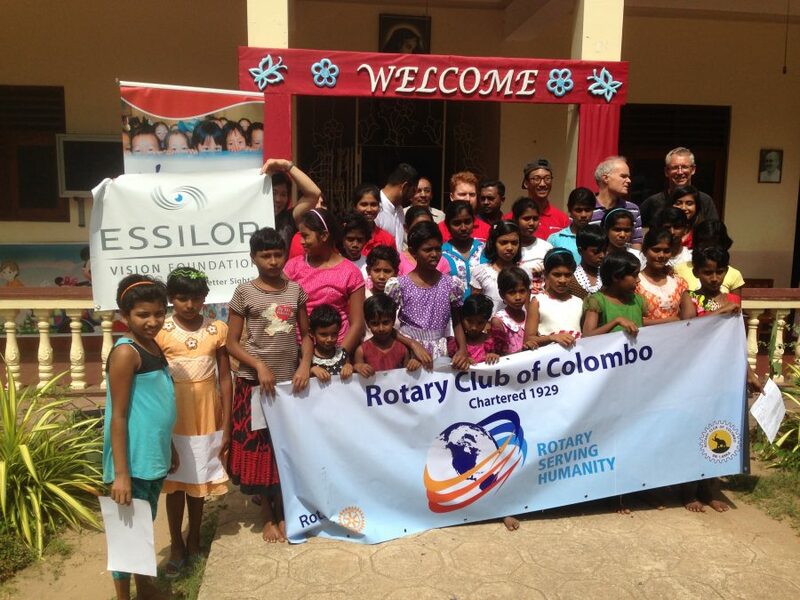 Essilor Vision Foundation India has supported an eye care program targeting around 3,000 beneficiaries in Sri Lanka. We reached out to Regina Lau, a medical coordinator, who reported straight from the field about the moving experiences she went through during this mission. 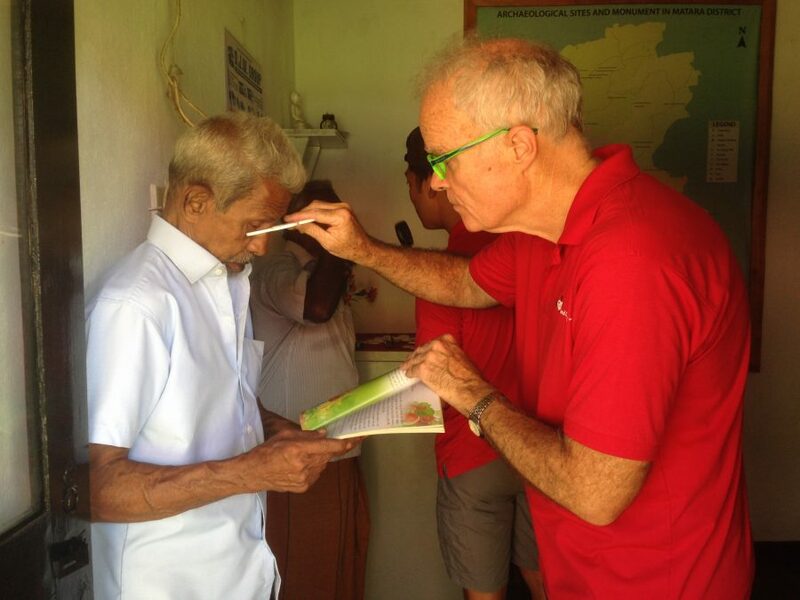 Earlier this month 4 optometrists, 4 optometry students and three volunteers from Australia headed to an eye care mission in Sri Lanka, the island nation in the Indian Ocean, also known as the 2nd largest tea exporter in the world. Apart from the tremendous support they received from numerous local volunteers, several organizations helped to make this initiative happen: Tea Leaf Trust supported by Lebara Foundation, Rotary Club of Colombo, Rotari Club of Mill Point and Mount Lawley in Australia, Global Hand Charity and lastly Essilor Vision Foundation India which, reaching out for the first time in Sri Lanka, sponsored 900 free pairs of glasses. 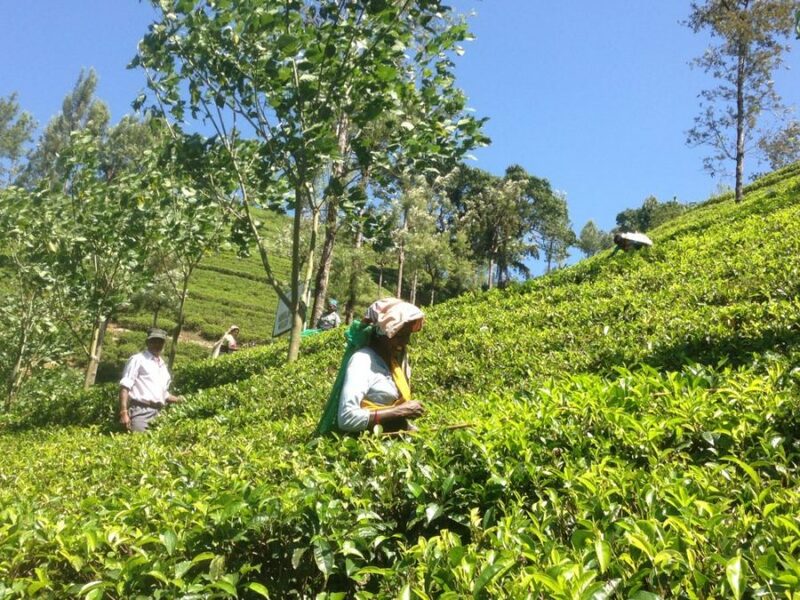 Together they managed to organize several screening events with an average of 550 Sri Lankans a day, focusing on children in orphanages and on tea-pickers in the tea plantation territories, many of whom are hit by poverty and social problems. Around 2,600 people who needed glasses received them on the spot. It was hard for us to understand how some people walked around with such terrible eyesight. Some old folk have to wait for years to get their glasses , which cost a fraction of what we are used to – waiting for their grandchildren to go to work so that they could buy them a pair. The local help has been tremendous and we have a huge team of local volunteers who is feeling just as pumped as all of us. 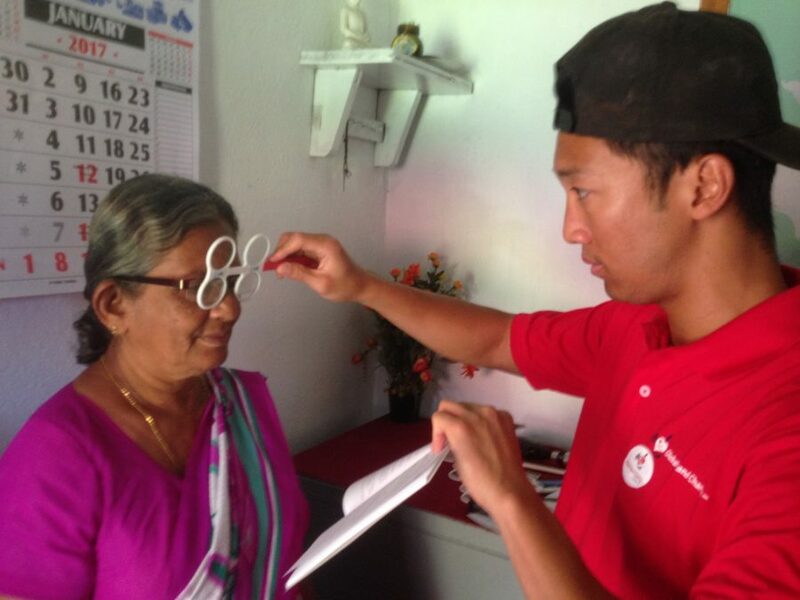 It has been so humbling to see so many people travel from far away villages to get their sight checked. For now local optometrists will finish off the work, distributing remaining glasses, and the Australian team is hoping to return again in 12 months. However, these testimonials show the desperate need for eye care that exists in this country of 20 million inhabitants. Although this mission is only a small step towards the aim of helping the 2.5 billion people in the world who suffer from uncorrected poor vision – for those who benefited from this project, the pair of eyeglasses they received was a real life changer.